Just another quick update from the weekend. 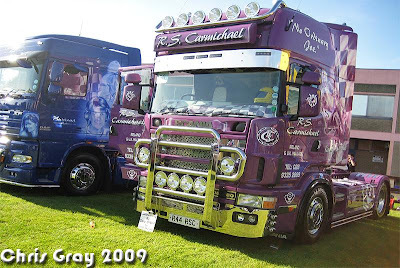 The show in Belfast wasn't just for cars, it was also host to a Truck Show. Interesting... To be honest I didn't think I would enjoy seeing them so much, but how wrong was I?! 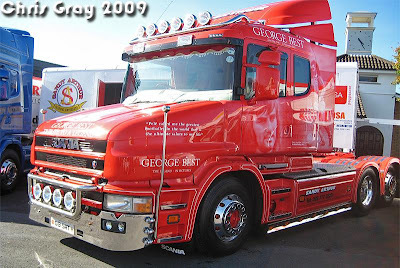 The work, presentation and attention to detail in these Trucks is simply amazing, and that's why I enjoyed them so much. It's something I can relate to (not just in cars) in everything I do in life...Just a few photos, now I'm wishing I took some more! The attention to detail was amazing on the 'Joey Dunlop' tribute. 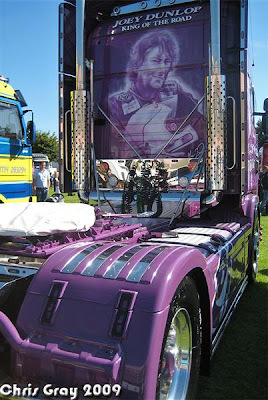 Stunning airbrushing and paintwork, custom parts and chrome trim, and even Carbon fibre wheel guards! Really have to appreciate this!